Not all the versions of any operating system out there are perfect. While some updates address some issues, they leave users with a new set of issues that the update causes to them. Developers always try their best to keep their software version as error free as possible. However, there are always some things that don’t work out well for them. One of the issues in iOS 10 is that the keyboard on the iPhone gets frozen now and then. 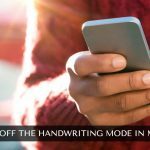 This usually happens when you’re typing something in notes or a message to someone in WhatsApp; the keyboard gets frozen and it doesn’t permit you to write anymore. 1. Tap on the Settings option on the home screen of your device. That’s where the software settings are located at. 2. When the Settings panel launches, tap on the General option. It will open the general settings panel for you. 3. On the following screen, tap on Software Update option. 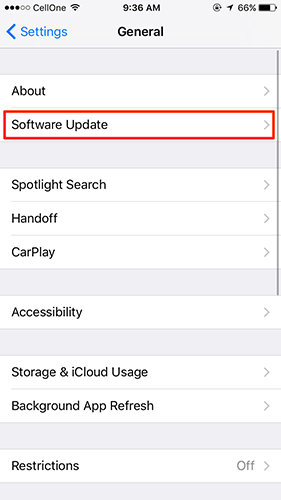 That is where you can find new iOS updates for your device. 4. It will check for the updates, and if there are any, it will ask you to download and install them. 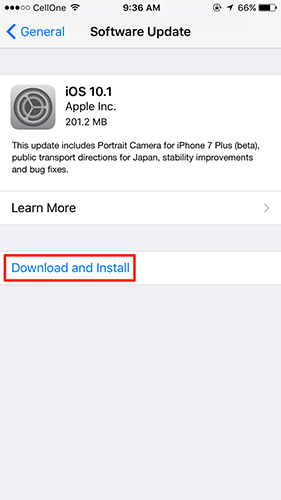 To do that, simply tap on Download and Install and follow the on-screen instructions to get your device to the latest version of iOS. You don’t need to do anything if you’re already on the latest version. 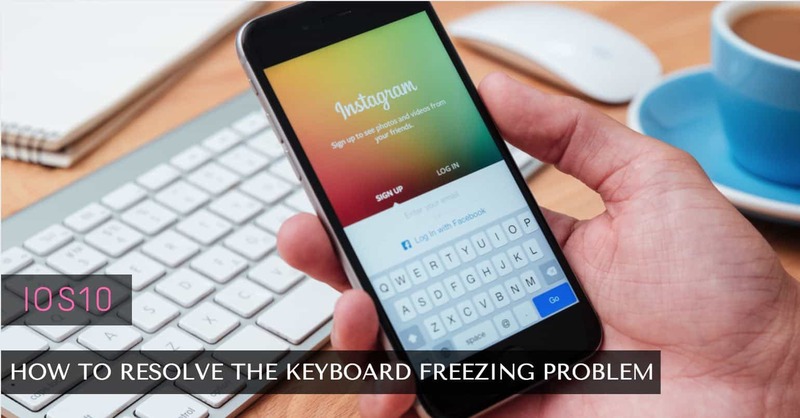 That was one way to fix the keyboard freezing issue on your iPhone. If that didn’t work for you, you can try the following ways. 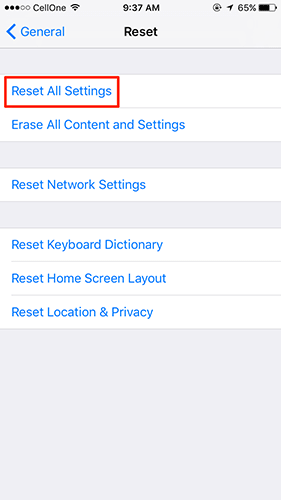 You can hard reset your iPhone to reset everything on the device. That might help you get rid of the keyboard issue. 1. Hold down the Power button and Home button on your iPhone for a few seconds. 2. You will see the Apple logo on your screen. When that happens, let go of the buttons you have held down. 3. Your iPhone should now be hard reset. That should have resolved the problem for you. 1. 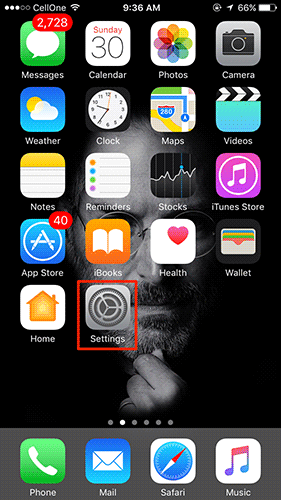 Tap on Settings on the home screen of your iPhone to open the settings panel. 2. 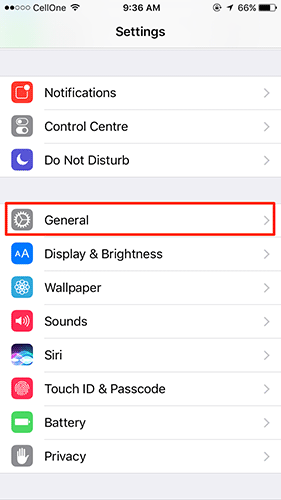 When the settings panel opens, tap on General to open general settings. 3. Tap on Keyboard on the following screen to open the keyboard settings panel. That is where all the keyboard related settings are located at. 4. 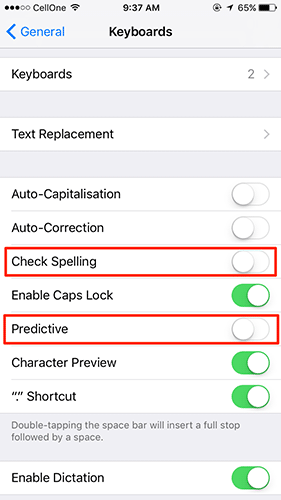 When the keyboard settings panel launches, find the options that say Predictive and Check Spelling. Turn the toggle for both of these options to off position. 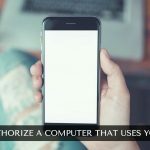 This will disable both of these features on your iPhone. Open a text editing app and see if the issue has now been resolved. 1. Tap on Settings on the home screen of your iPhone to launch the settings panel. 2. 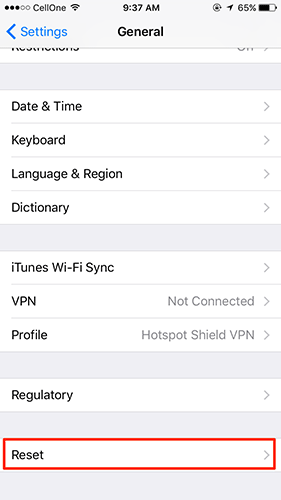 When settings panel opens, tap on General to open general settings. 3. Scroll all the way down in the general settings panel and tap on Reset. It has all the reset options for your iPhone in it. 4. Tap on Reset All Settings on the following screen to reset all of the settings on your iPhone. 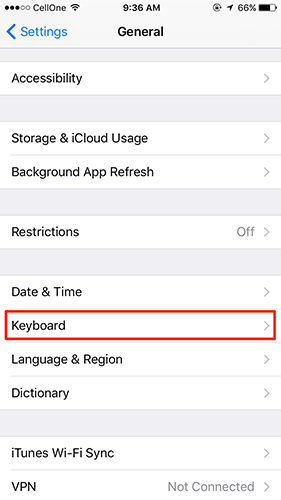 Your iPhone should now be reset and you can open an app that involves using your keyboard to see if the issue has now been addressed. So, above were some of the ways you could resolve the keyboard freezing problem in iOS 10 on your iPhone. Let us know if this helped you fix the issue!